Someday I would love to see this for real. But at least I could have a puzzle now, if they’d ever RELEASE THE GODDAMN PUZZLE. Jesus. 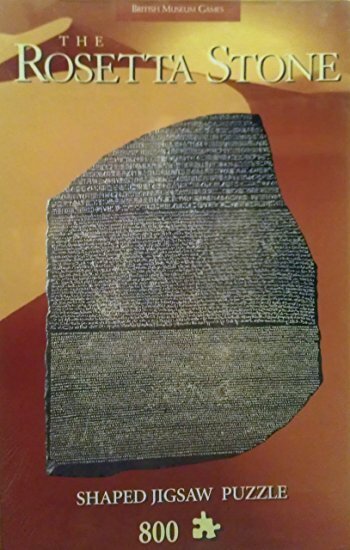 I’m planning a trip to England right now and I keep getting distracted by stuff I want from the British Museum store, and Rosetta Stone Puzzle is like right at the top of that list. I’m pathetic. I love the story about the rosetta stone. 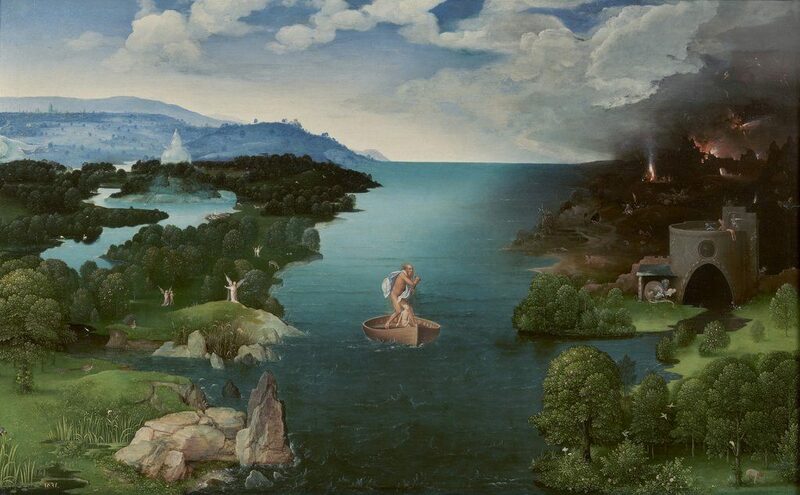 My favorite puzzle is actually my Garden of Earthly Delights puzzle. I don’t know if this is true for every work, but the type of sustained evaluation required for puzzles has probably taught me more about Bosch than any book.2 I definitely am one of those “you can’t look at the box that’s cheating” people too. So it’s sort of almost not a horrid waste of time if your puzzles are of things you care about. Are puzzles a waste of time, though? It’s clearly very much like a kind of meditative religious practice where you assemble a work of art meticulously piece by piece as though it’s the most important thing in the world, and then immediately unceremoniously disassemble it and shove it in a box to sit in a closet for years.3 There must be someone out there who’s written about puzzle rituals. I’m betting they’ve been compared extensively to Tibetan sand mandalas in the hypothetical semi-philosophical article that I am sure exists but that I am also too lazy to seek out. Anyway, this blog post is just about as boring as most people find puzzles. Goodness gracious, I’m going to bring on a Where’s Waldo episode thinking about this. Something about the repetition of tiny figures scratches some deep OCD itch for me. But probably not more than this amazing website that I randomly scroll through every once in a while. Make sure you have sound on. Because only monsters frame puzzles. Yeah, I said it.